This year there have been elections on every continent. From the world’s largest democracy (India) to one of Europe’s smallest principalities (Liechtenstein), people have gone to the polls. Apparently 99.98 per cent of all registered voters in North Korea took part in the parliamentary elections in March and – unsurprisingly – every single vote was cast for the Democratic Front for the Reunification of the Fatherland. Meanwhile in Japan’s general election in August, a landslide victory by the Democratic Party of Japan ousted the party which has been in power almost continuously since 1955. Afghanistan held a presidential election in August, which was characterised by widespread electoral fraud, a media blackout and violence on polling day; since neither of the front-runners achieved the 50 per cent of the vote, a run-off is scheduled for November. On the other hand, the campaign for the German federal election in September was widely acclaimed as being exceptionally boring and returned Angela Merkel as Chancellor with the lowest turnout since the war. 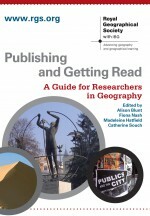 But whether elections are predictable, disputed, dull or monumental, they are “a geographer’s delight” according to Johnston and Pattie in Geography Compass. Almost every aspect of elections can be the subject of geographical analysis. The political system of representation is a spatial arrangement. Campaigning strategies require knowledge of territoriality. The organisation and conduct of an election is a logistical exercise conducted simultaneously in many different places. The behaviour of voters is often connected to regional, cultural or religious identities. The data generated from votes cast can be cartographically represented. Johnston and Pattie’s article reviews empirical work by geographers on British general elections over the last 60 years and conclude that “in the conduct and outcome of elections, geography matters”. This entry was posted in Geography Compass and tagged Afghanistan, Britain, campaigning, elections, geography, Germany, Global Issues, Japan, North Korea, Political Geography, polls, Representation, voting on October 21, 2009 by jclunn.